Home » aircraft carrier , cv , media , twitch , update , video , world of warships » World of Warships CV Rework Twitch Stream - Do Not Miss This!! 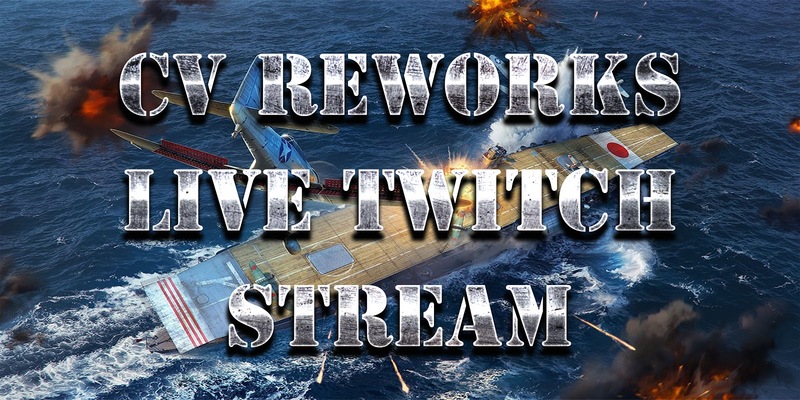 World of Warships CV Rework Twitch Stream - Do Not Miss This!! CV Rework Twitch Stream - Do Not Miss This!! It's been a long time in the making, and now the World of Warships development team is finally ready to show off the fruits of their labour! Please note: the stream is in English only.